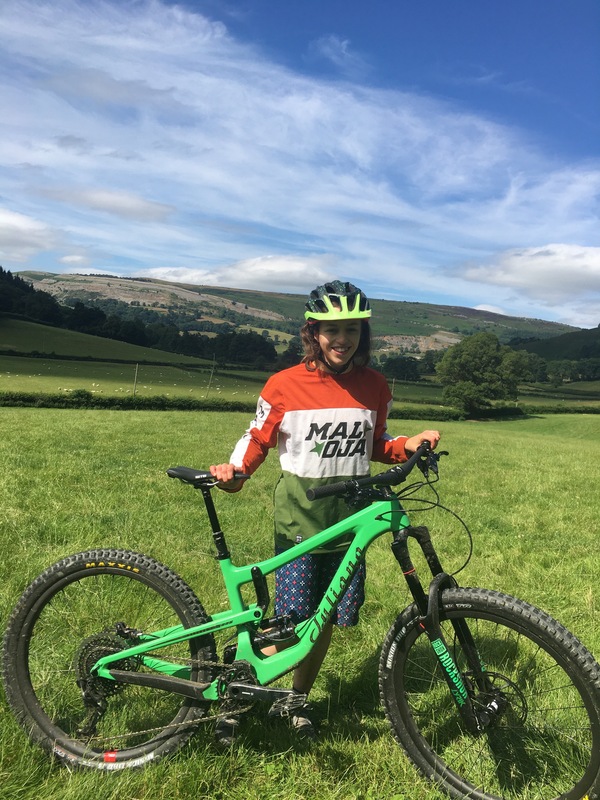 I’ve rarely heard of women-only demo days, but this is the approach Alf Jones Cycles have taken to allow their customers to try the vibrant Juliana range. With the new Strega on the list of bikes to demo, it was going to be one of the first chances to try out their 170mm travel bike. 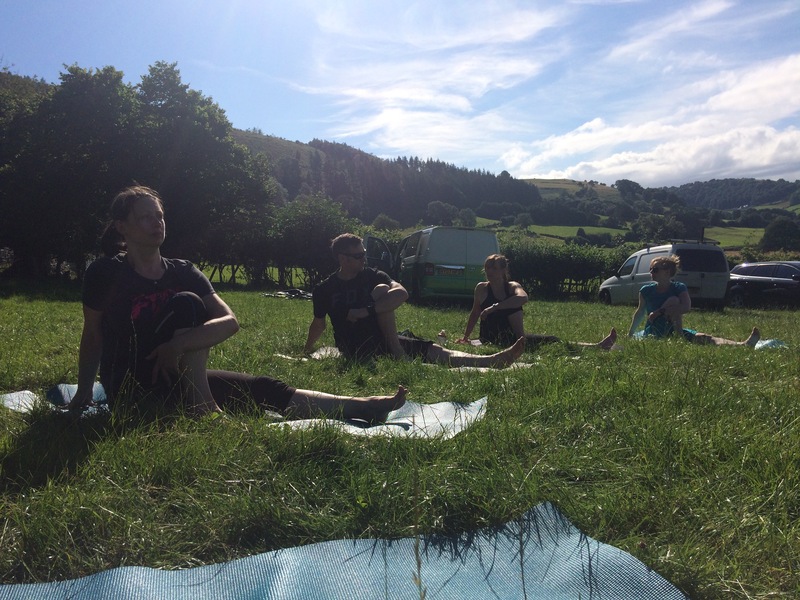 Yoga, food and coaching was also on the cards so it was definitely going to be a jam-packed day. 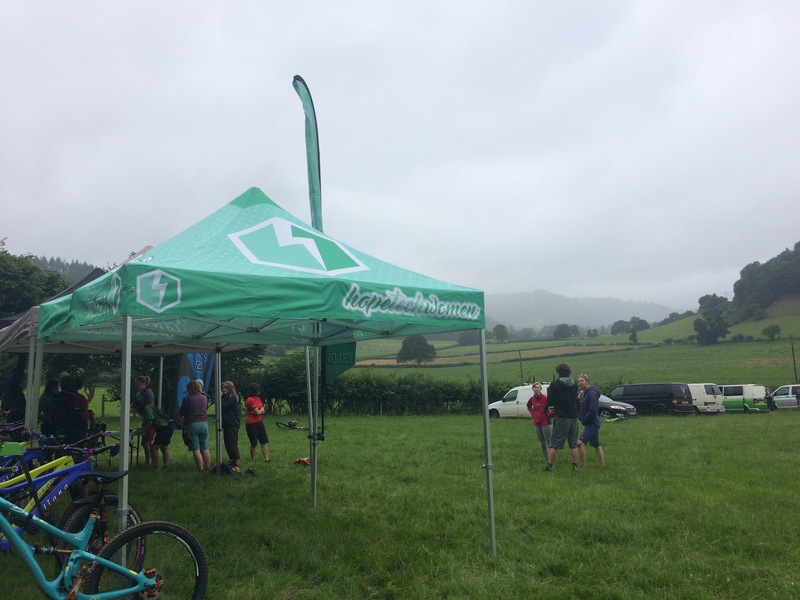 With the day based at One Giant Leap Llangollen, all of the bikes were racked at the top of the finish field on what was a gloomy start to the day. 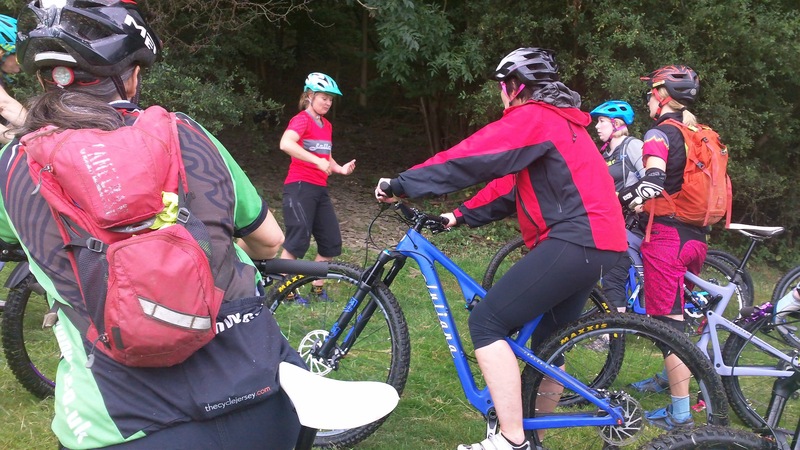 All of the women got set up with the bike they wished to demo and the day kicked off with some coaching off Ally from Campbell Coaching. I was lucky enough to get one of two small Strega’s, which was launched recently. However, having spent a lot more time on the road bike than mountain bike, I was unsure how I’d get on through the day. I was definitely happy to not be riding my hardtail with everyone on full suspension bikes. The Strega however became a real confidence booster. At half ten we made our way over to the skills area, which is hidden away in the woods at One Giant Leap, Llangollen. Ally started from the bottom up by making sure everyone’s feet were level when descending on trail with a slight gradient. She highlighted where to put your weight in different situations as well as going off small drops with ease. 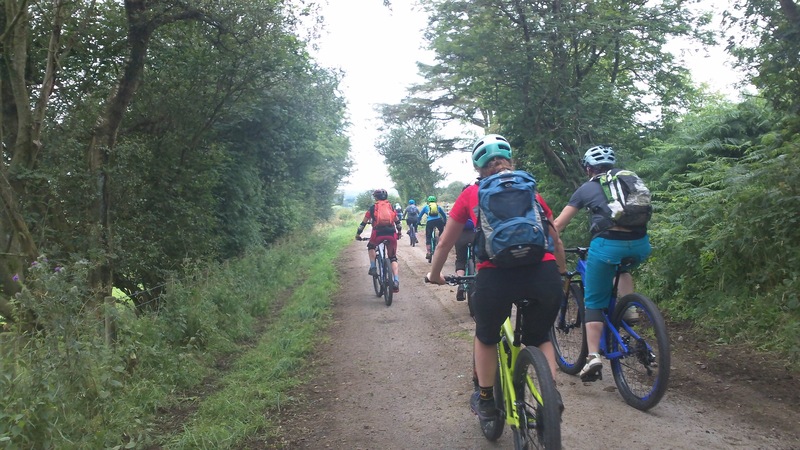 Her main focus was ensuring everyone was in control of the bike they were riding and not the bike being in control of them. Everyone was making their way down the trail multiple times to try and get better each time, so much so we were nearly late for the uplift. Now hands up who is the worst for faffing? I most certainly am guilty for that and that there was plenty going on before our ride out on the Juliana’s. I had to pick up a bag as I didn’t put a bottle cage onto the Juliana. Making sure I had enough bug spray on. Checking a million times my bag was shut. Ha! 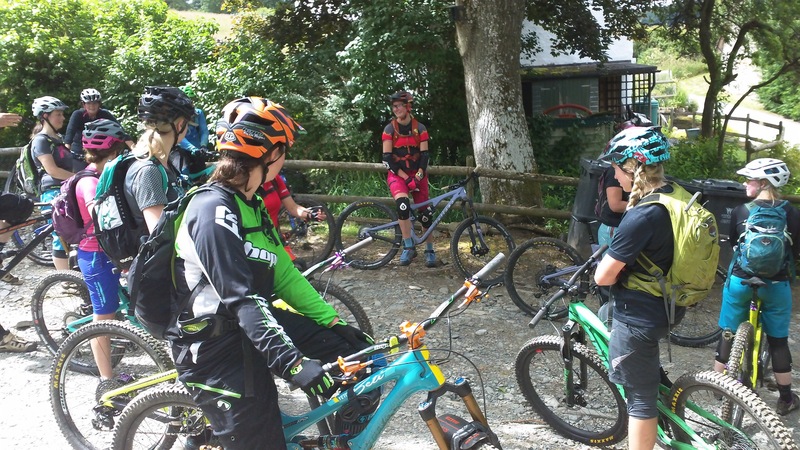 The ride I’m talking about is a guided route from Andy Lund alongside Ally Campbell on the bridelways near the Llangollen downhill tracks. I couldn’t tell you exactly where we went, purely due to the fact of me not knowing, but I can tell you there were some descents that came as a surprise. You would turn off country lanes and all of a sudden find yourself on crazy descents that you could possibly find at Revolution Bike Park (just slightly less gnarly). I just seemed to get on with it on board the Strega. No second guessing something. I focussed on a line and the Strega stuck to it. Every time I thought it was going to spin out, the Strega would bounce back straight to keep me on my line. 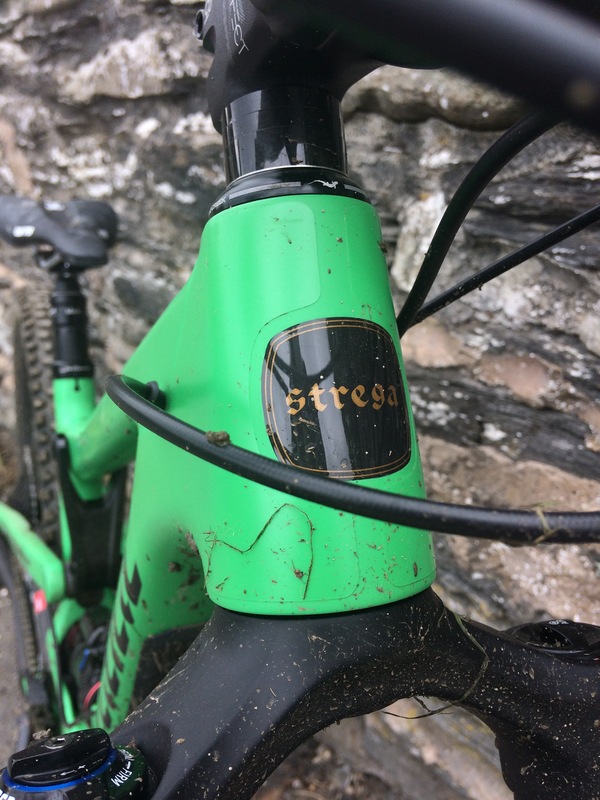 The Strega was a confidence booster and made it feel like I’d been regularly riding mountain bikes for weeks, which I’d definitely not been doing. 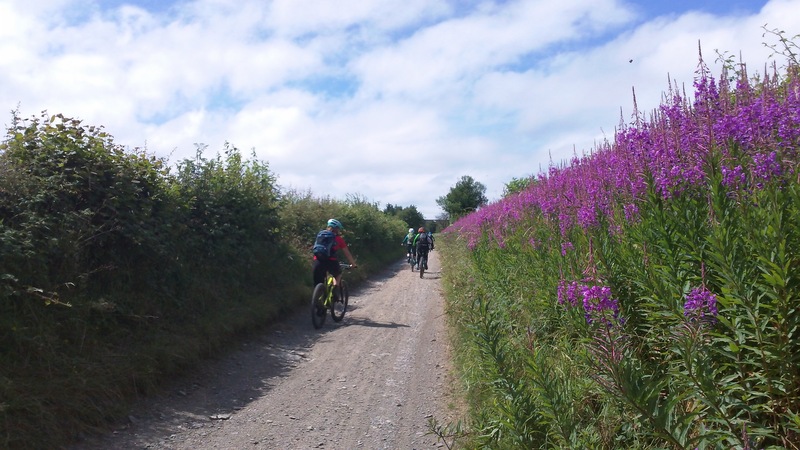 The route popped out into various villages, even on part of the Chirk Triathlon route, then swerve off onto dirt tracks that would soon become almost singletrack. Small rock slabs turning the trail into a patchwork of slippy and grippy conditions. You had to play poker in terms of where you put your tyres. Then there was a rather large climb. The Strega had been getting up previous climbs fine, especially as I had the use of a dropper post. A dropper post I kept forgetting to drop mind thanks to not having one on my mountain bike. It’s just something I’ve never had to think about! I still managed to get down the odd descent ok with the seat still up. 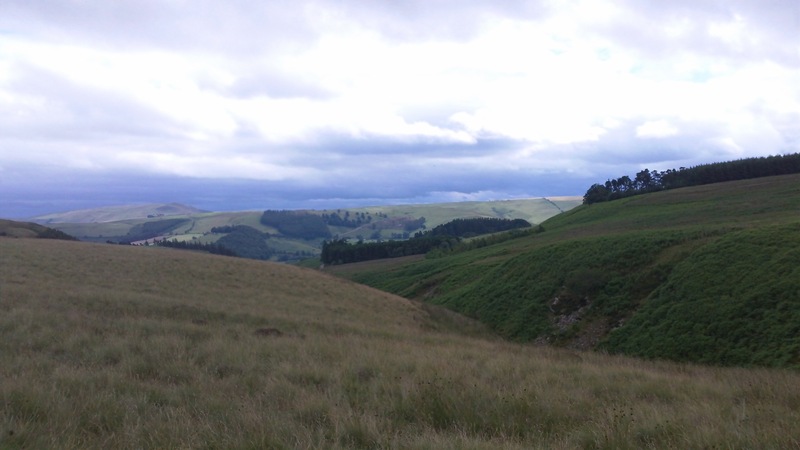 The long climb was like a rain damaged fire road up onto some moors, with baby pheasants running round everywhere. I never really thought there was a difference between mountain bike fitness and road bike fitness. There’s definitely a difference. So the rather long climb and my struggles to conquer it were more down to my lack of mountain bike fitness. So I survived and managed to get to the top of the hill. Lundy informed me the Strega is more of a bike you have to just power up to the top on. Short climbs it still felt incredibly efficient, but I was struggling up that extremely long climb! I suppose using it to go up familiar climbs, I would maybe see the difference. Thankfully the long climb made way for a long descent. I got arm pump on the descent, but I didn’t feel like I was battling with the bike at all. The benefits of air suspension I guess! And a carbon bike. And an up to date bike…ha! We made our way back to the finish field of the downhill tracks with stomach’s rumbling due to it being past 3 o’clock, so food was first on the cards before anything else. Very good food at that. 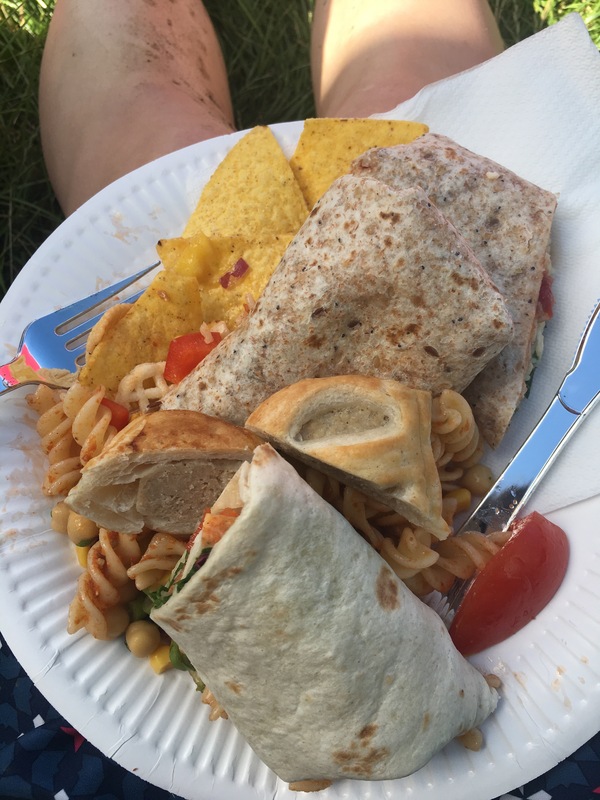 No BBQ in site, but lots of pasta and wraps containing food all colours of the rainbow. I ate way too much, but I was just so hungry! There was a chance to go up the hill on the uplift, but I was way to tired to try out the Strega on the downhill tracks. Some of the girls tried the final drops, but I knew I needed to stop riding. There was still yoga off Bodhi Movements to finish off the day. Doing which, I realised I needed to do yoga more often. 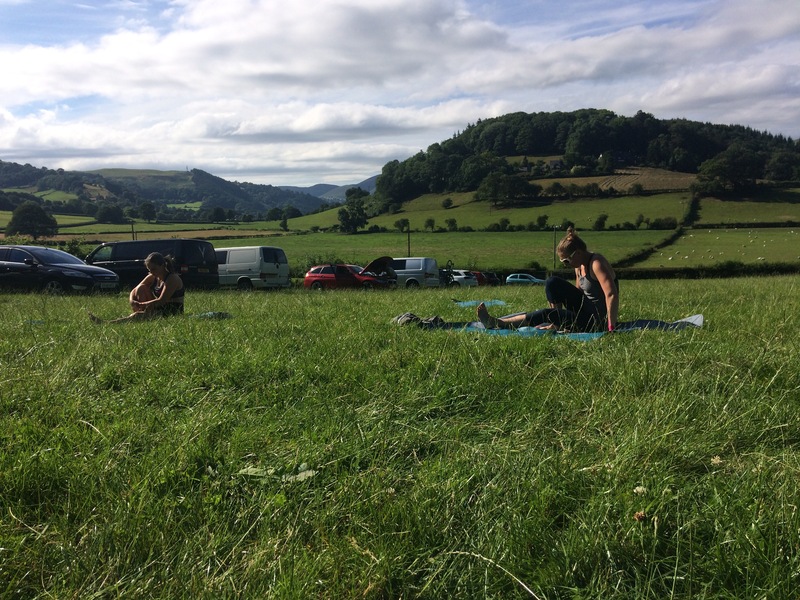 Thankfully the day turned from a gloomy start to a sunny Sunday evening where yoga on mats in a field just felt good to do. I was so tired at the end of the day, but had finally got the chance to see what the Juliana hype was all about. Thank you to everyone who was helping out on the day! 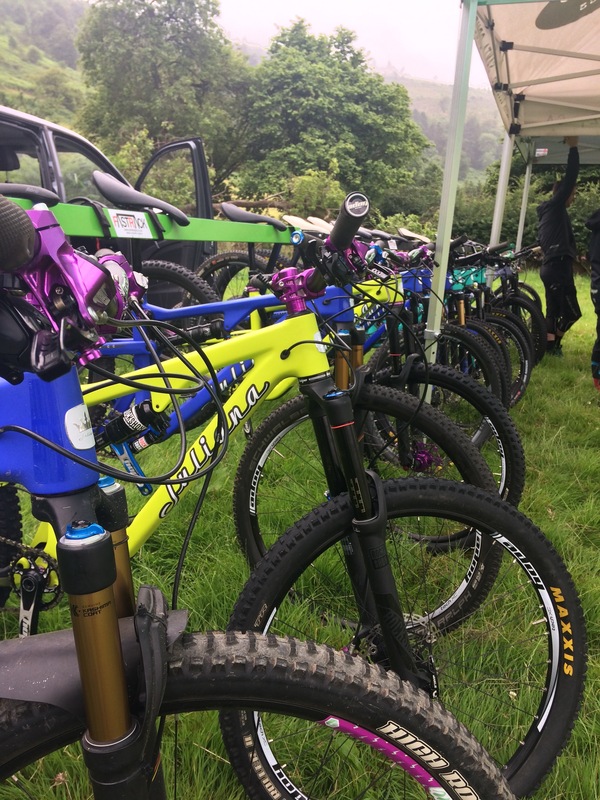 I’d recommend any future demo days by Alf Jones Cycles in the future! Why not drop them a vote in the Cycling Weekly ‘Britain’s Best Bike Shop‘ poll? Dropper posts are my favorite thing on my mountain bike! I hate when I get on a different bike without one, which then leaves me to looking for it!